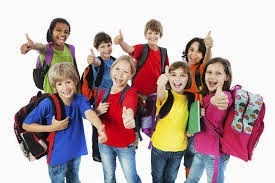 10 Steps: How to Raise Happy Kids - Something New Everyday! Extensive research has established a substantial link between mothers who feel depressed and "negative outcomes" in their children, such as acting out and other behavior problems. Parental depression actually seems to cause behavioral problems in kids; it also makes our parenting less effective. …although the study did find that happy parents are statistically more likely to have happy children, it couldn't find any genetic component. So what's the first step to being a happier you? Take some time each week to have fun with friends. Because laughter is contagious, hang out with friends or family members who are likely to be laughing themselves. Their laughter will get you laughing too, although it doesn't even need to in order to lighten your mood. Neuroscientists believe that hearing another person laugh triggers mirror neurons in a region of the brain that makes listeners feel as though they are actually laughing themselves. It doesn't take a lot. It can start with encouraging kids to perform small acts of kindness to build empathy. Multiple sclerosis (MS) patients who were trained to provide compassionate, unconditional positive regard for other MS sufferers through monthly fifteen-minute telephone calls "showed pronounced improvement in self-confidence, self-esteem, depression, and role functioning" over two years. These helpers were especially protected against depression and anxiety. The majority of the kids praised for their intelligence wanted the easier puzzle; they weren't going to risk making a mistake and losing their status as "smart." On the other hand, more than 90 percent of growth mind-set-encouraged kids chose a harder puzzle. Why? Dweck explains: "When we praise children for the effort and hard work that leads to achievement, they want to keep engaging in that process. They are not diverted from the task of learning by a concern with how smart they might — or might not — look." Author Christine Carter puts it simply: "Optimism is so closely related to happiness that the two can practically be equated." Thinking kids will just "naturally" come to understand their own emotions (let alone those of others) doesn't set them up for success. A simple first step here is to "Empathize, Label and Validate" when they're struggling with anger or frustration. Molly: "I am SO SO SO MAD AT YOU." Me: "You are mad at me, very mad at me. Tell me about that. Are you also feeling disappointed because I won't let you have a playdate right now?" Molly: "YES!! I want to have a playdate right NOW." We're on step 6 and it might seem like this is already a lot to remember for you — let alone for a child. We can overcome that with good habits. Keep At It: Don't expect perfection immediately. It takes time. There will be relapses. That's normal. Keep reinforcing. Yes, it's that famous marshmallow test all over again. Kids who better resisted temptation went on to much better lives years later and were happier. …preschoolers' ability to delay gratification–to wait for that second marshmallow–predicts intelligence, school success, and social skills in adolescence. This is at least in part because self-discipline facilitates learning and information processing. In addition, self-disciplined kids cope better with frustration and stress and tend to have a greater sense of social responsibility. In other words, self-discipline leads not just to school success and sitting nicely at the dinner table but to greater happiness, more friends and increased community engagement. What's a good way to start teaching self-discipline? Help kids learn to distract themselves from temptation. Playtime isn't just goofing off. It's essential to helping kids grow and learn. We don't like to admit it, but we're all very much influenced by our environment – often more than we realize. What's a simple way to better control a child's surroundings and let your deliberate happiness efforts have maximum effect? …research demonstrates a strong link between happiness and not watching television. Sociologists show that happier people tend to watch considerably less television than unhappy people. We don't know whether TV makes people unhappy, or if already unhappy people watch more TV. But we do know that there are a lot of activities that will help our kids develop into happy, well-adjusted individuals. If our kids are watching TV, they aren't doing those things that could be making them happier in the long run. We're often more open to new methods when it comes to work and careers, but ignoring tips when it comes to family is a mistake.